Destinee Virgin had nowhere to run, but she tried. The 18-year-old got out of her silver 2004 Nissan Altima in traffic and ran on Macon Road, at the Rigdon Road red light, yelling for help, trying to find refuge in other cars. As multiple witnesses watched around 7 p.m. on Sept. 22, her ex-boyfriend, Markel Ervin, got out of her car, chased her and repeatedly shot her with a 9mm pistol, detectives said. He ran back to her car and sped to Harris County, where he was caught overnight, according to police. done in conjunction with The Trace, a nonprofit newsroom that studies gun violence. Nationwide, at least 1,149 young people were killed by gun violence during that yearlong span. The Trace assembled a team of more than 200 high school students to research and write 100-word portraits of every named victim, including the 51 in Georgia. They are being published today. Macon had six teen gun deaths, Richmond-Augusta had four, and Savannah had three. The circumstances of Georgia’s teen gun deaths in the 2017-2018 McClatchy analysis varied. In Columbus, based on 10 years of records from the Muscogee County Coroner’s office, half the deaths of 16 gun-related homicide victims 18 or younger involved a domestic situation. Georgia leads the nation in domestic teen violence. Meanwhile, Columbus police are alarmed at the firepower found on teens these days, despite state laws that prohibit anyone 17 or younger having a gun. Adding a firearm to domestic abuse is “a huge red flag,” said Lindsey Reis, executive director of Hope Harbour, a Columbus shelter for those trying to escape. After Destinee Virgin’s death, her mother, Mechelle Virgin, decided fighting teen dating violence and other domestic abuse would be her daughter’s legacy. “I don’t want her death to go unnoticed or forgotten,” the mother said. Destinee Virgin, 18, shown here in a Facebook photo, was shot to death Sept. 22, 2018, in midtown Columbus, allegedly by her ex-boyfriend, Markel Ervin, 17, who was arrested and charged with her murder. Of Columbus’ eight gun-related deaths of those 18 or younger over the past 10 years with some domestic circumstance, some involved a boyfriend-girlfriend relationship, as alleged in Virgin’s case, and in some instances an adult in the household killed children. While leading the nation in teen dating violence, Georgia ranks eighth in the country for the rate at which men kill women. State authorities for 15 years have extensively studied the issue of domestic violence, annually issuing a report called the Georgia Domestic Violence Fatality Review Project. The report is compiled by the Georgia Commission on Family Violence and the Georgia Coalition Against Domestic Violence. Several state judicial circuits participate in the effort, and the six-county Chattahoochee Judicial Circuit that includes Columbus is one of them. Reis, director of the 43-bed Columbus shelter Hope Harbour, noted that half the victims in the fatality review were between the ages of 13 and 24 when they started relationships with the partners who eventually killed them. She said teenagers’ romantic relationships form the foundation of what they afterward expect love to be. “It is a time period for the children, that’s the children or teens, to learn about healthy relationships, to know what behaviors are acceptable, especially with technology and some of that stuff,” she said. If they learn to accept abuse as “normal,” then they continue to accept it. If they don’t leave an abusive relationship, they may never realize their lives could be better, because they’ll adapt to it and endure, sometimes for decades, Reis said, recalling a woman who stayed with an abusive man for 28 years, until he pushed her daughter with special needs through a wall. Often a threat to their children is what finally drives victims to escape, Reis said. Teenagers trying to flee such abuse need adults who can help, she added. Mechelle Virgin said she did not ignore the changes she saw in her daughter as a result of dating Ervin, and told Destinee what she was experiencing was not normal. She said her daughter met Ervin at Carver High, before he dropped out. As the relationship progressed, the mother noticed Ervin became increasingly obsessive, to the point that he would be on Facebook’s Live FaceTime all night with Destinee, watching her sleep. The mother said she knew this because Ervin played video games, and she could hear the game noises coming from Destinee’s room until 5 a.m. when the mother got up to go to work. Such obsessive behavior is considered a warning sign of impending danger. So is the presence of a gun. ▪ A gunshot was the cause of death in 73 percent of all the state’s 758 domestic violence deaths from 2010 to 2017. ▪ A study of Georgia’s family violence incidents shows assaults involving firearms are 12 times more likely to result in death. “You’ll hear the victims here say, ‘He held a gun to my head,’ or ‘He pointed his gun at me,’ ” Reis said. Breaking up not only is hard to do, in an abusive relationship, it’s dangerous. Hope Harbour also offers aid such as legal advocacy, should victims need help in getting a temporary restraining order against an abusive partner, she said. They do not have to be staying at the shelter to use those services. In the “safety plan” the shelter recommends victims consider, they are to assemble all their important documents (credit cards, birth certificate, insurance papers, etc.) so they will have those should they need to flee to safety. They also may arrange to have a trusted friend or relative they can call with a code word to mean they need the police, should they fear calling 911 in an abuser’s presence. They also have the option of calling a 24-hour crisis hotline, she said. That will connect them with someone who can offer advice on how to develop a safety plan and how to discuss the matter with their parents. Informed by the domestic violence fatality review, Georgia has taken steps to address the issue, more recently changing laws to classify strangulation as felony aggravated assault, extend unemployment benefits to people who must leave work to escape abuse, and add other electronic communications to prohibitions on harassing phone calls. The state has family violence laws aimed at documenting and penalizing such abuse and training law enforcement to gauge the danger a domestic violence victim faces, so investigators can determine whether further assistance is needed. But Georgia lags behind neighboring states in passing laws to mirror a federal prohibition on anyone owning a gun after a domestic violence conviction, advocates say, and state authorities can’t enforce the federal law without a matching state provision. Judges, however, can order the surrender of any firearms if a case comes to court. Authorities are alarmed at the level of firepower found on teens these days. When caught with guns at school, kids told another story: They found the guns, just lying on the ground, at the bus stop or on the sidewalk on the way to school, said former juvenile court prosecutor Danielle Forte. “They were finding them like Easter eggs,” she said. Gil Slouchick, Columbus’ assistant police chief, said kids aren’t just stealing guns, they’re using the stolen guns in other crimes. It got to be a running theme in juvenile court, said Forte, who left the prosecutor’s office last year, when she was elected clerk of the Superior Court. Slouchick said kids aren’t just stealing guns, they’re using the stolen guns in other crimes. Guns and immaturity are a dangerous combination. A possible confrontation is a constant worry. Under Georgia law, anyone younger than 18 caught with a handgun the first time faces a misdemeanor punishable by a fine up to $1,000 and a year in detention. The law says a subsequent violation could lead to a $5,000 fine or three years’ incarceration. The law has exceptions for shooting competitions and other special circumstances. For those 16 or younger who go to juvenile court, the first offense typically results in probation, attorneys say. Senior Assistant District Attorney Wayne Jernigan Jr. said any subsequent offense can be a Class B Designated Felony, for which the violator in juvenile court may be sentenced to 18 months detention and 36 months of supervision by the Department of Juvenile Justice. Once a teen turns 17, he is an adult under the law, and can be detained in the county jail. Fewer teens would have guns if fewer adults left them in cars. “You don’t know how many times we go to the scene of a vehicle that’s been broken into, and the owner says, ‘They’ve stolen my laptop; they’ve stolen my 9 millimeter.’ What are you doing leaving this stuff in your car?” asked Slouchick, the assistant police chief. People who have firearms in their homes should secure them in a gun safe, he said. Gun safes also can be installed in automobiles. It’s also crucial to record each weapon’s make, model and serial number, Slouchick said, in case it is stolen. That information can be entered into the National Crime Information Center database, so that if police anywhere in the country find the gun, they will know its origin. If authorities have that information, “you’ve got a pretty good chance of getting your property back,” he said. But the gun owner also has to store that information securely, and not, for example, record it only on a laptop also left in a car to be stolen. He particularly emphasizes this: Don’t leave a gun in a car overnight. Destinee Virgin had dreams of joining the Navy, becoming a medical technician and eventually a pediatrician. She was in Junior ROTC all through high school, and started a medical training program after graduating from Carver. Her behavior changed drastically after April 25, 2018, when she and Ervin went out to eat downtown, and Destinee didn’t come home. Her mother reported her missing, and police found the teen had been battered. Arrested May 15 when police caught him firing a gun on Floyd Road — he was charged with reckless conduct and being a minor with a handgun — Ervin faced additional charges of kidnapping and false imprisonment. He was released on $50,000 bond on May 30. Destinee was never the same after the alleged kidnapping, her mother said. She didn’t date Ervin after that, said Mechelle Virgin, who couldn’t say how they ended up in the same car the day Destinee died, because attorneys advised her not to discuss the pending murder case. That day she was killed, Destinee told her mother she was going to the store and would be right back, but she wasn’t home when her mom left for work at Hostess Brands. The mother couldn’t have a phone with her on the production line, so someone came by to tell her she had an emergency. She went to get her phone, and found it “lit up” with calls and messages. 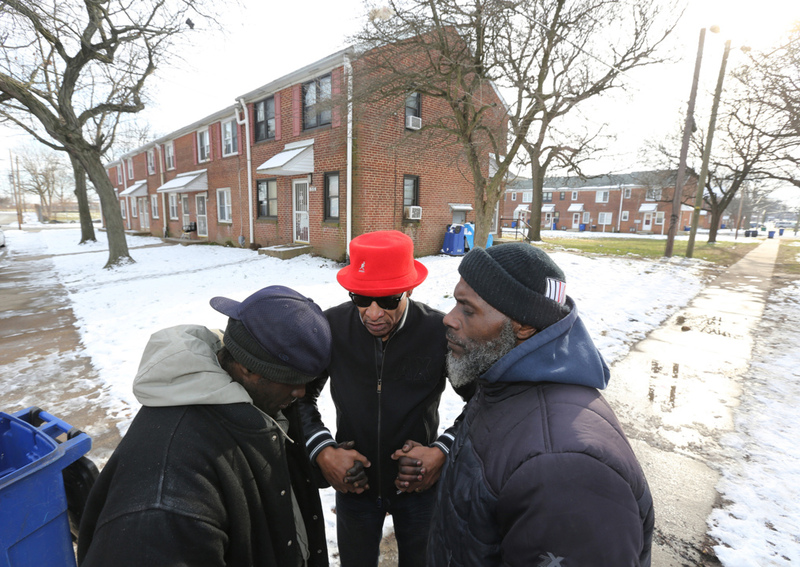 “Somebody was screaming in the phone, ‘Your baby got shot,’ and I just ran out of the building,” the mother recalled. 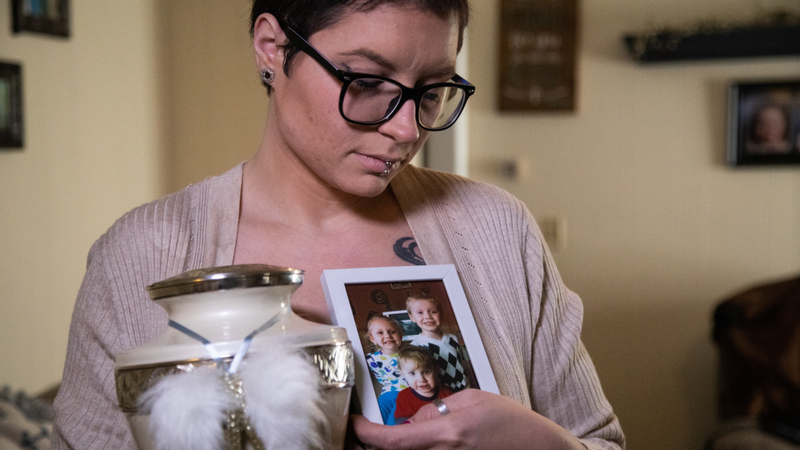 Waiting hours at the hospital, she thought her daughter was in surgery, and did not find out until midnight that she had died at 7:45 p.m.
Now she wants to use her daughter’s legacy to fight domestic violence, particularly among teens. The Virgin family formed a nonprofit called “Destinee’s Peace,” and the mother speaks to groups about the issue, hoping other lives can be saved. What would she tell a parent whose child is in such trouble? Hope Harbour’s 24-hour crisis line for adults and children experiencing domestic violence is 706-324-3850. The organization can also be contacted through its website, hopeharbour.org.